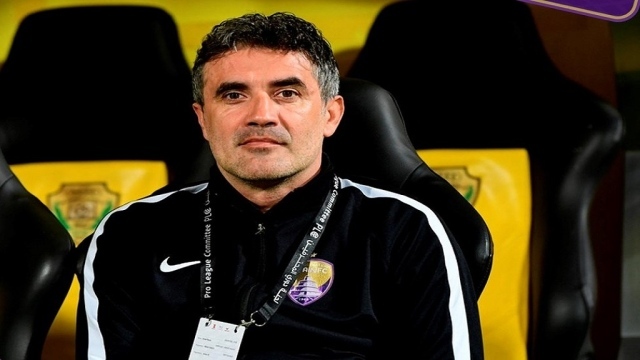 Al-Ain coach Zoran Mamic has revealed that he is planning to qualify for the quarter-finals of the President's Cup at the expense of Al Wasl by winning the official time and not through the penalty shoot-out that could reach the game in the event of the end of the original time and the two extra points in the draw. "We do not think about the penalty shootout at all as much as we plan to qualify for the next round at the original time of the meeting," he told a news conference. Al Ain won the midfield of the week at the expense of Al Wasl at Zabeel Stadium in Dubai with three goals against a goal in the twelfth round of the Gulf Arab League. But Friday's match at the Al Nahyan Stadium in the capital Abu Dhabi will be different than ever. "The Al Wasl team is not easy and the fact that we won the Arab Gulf Championships in the last round does not mean that the repeat of the win will be easy at all," Zoran said. The Croatian coach confirmed that he was confident in the ability of his players to win the meeting in addition to the levels they showed in the last game and that all the players in the team in full readiness to enter the meeting. For his part, the player of Al Ain team, Egyptian Yahya Nader, confirmed that all his teammates in the full preparation for the match against Al Wasl in the Cup of the Head of State. At the press conference, Nader said he was happy with the chances of coach Zoran Mamic. Commenting on Al Wasl's match in the President's Cup, he said: "The meeting will be difficult and we hope to win and qualify for the quarter-finals. "I think we will not have a lot of difficulty in the match after we knew the way Al-Wasl played against us last Monday." Sri Lanka: bomb attacks leave at least 290 dead in a "new type of terrorism"
Katarina Barley: "Separations are hard"